Hi all. 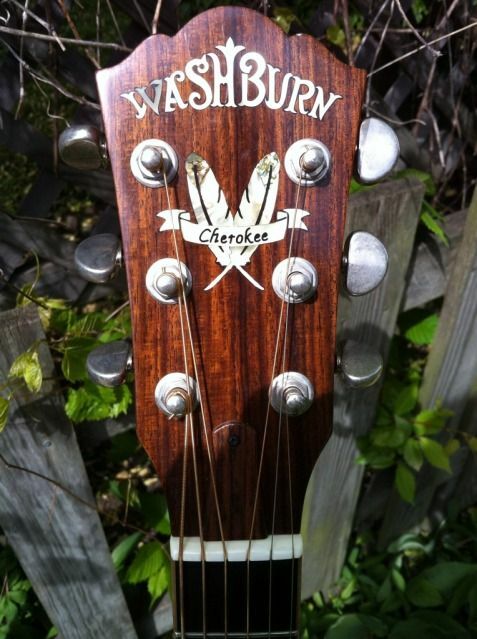 I've just bought my first Washburn acoustic. It was bought originally in the UK in '79. I have been told it is an F-15 model but cannot find any mention of this anywhere. It has two numbers inside, 79416 and 101479. I believe it is a OOO shape. Can anyone give me any more info please? Hey Ned. Ditto on the move to the Acoustic, Pike will hook you up. Hi, and thanks for the tip. I'm a Buckley fan, and also a Cohen fan.